Despite an increasingly digital world, direct mail is still one of the most effective ways to reach your target market. According to the CMC Council, “direct mail offers response rates of 1.1 to 1.5% versus 0.03% for email, and 0.22% for paid search.” Even though more and more consumers use the internet to find products, direct mail still does a better job of generating a response. Yet not all direct mail is created equal. Covering or sending your direct mail cards and letters in a clear envelope increases your views, can improve your response rate and helps you market your business. ClearBags carries clear sleeves, envelopes, and bags for nearly every size and style of direct mail. Each one is USPS approved, made with quality crystal clear material, and available for wholesale prices so they don’t hurt your bottom line. Branding — Clear mailers are ideal for branding. Even if your recipients throw your mailers in the trash, the clear covers mean that they’ll still be exposed to your brand and logo. Studies have shown that as many as 92% of people look daily at every piece of mail, which means exposure to your brand will be huge. Premium Appeal — Clear sleeves and envelopes over your mailers give the impression of being high quality, and most people associate increased protection with more important mail. Greater Open Rate — When customers can see what’s inside and like the premium appeal of the clear covers, the message is conveyed immediately. There is no easier way to brand and receive a response. Stands Out — Clear mailers, unlike their paper counterparts, make your message pop and stand out from the rest. It won’t be just another smudged envelope to open. More Materials — Finally, with clear mailers you can be more effective with the materials you send. Adding coupons, multiple advertisements, business cards, and more is most effective in a clear mailer. Clear mailer bags provide all of these benefits at a cost that won’t hurt your budget. They are popular in industries like real estate, dentistry, insurance, home security, coupon advertisers, and more, and can easily become an important tool in your direct marketing campaigns. 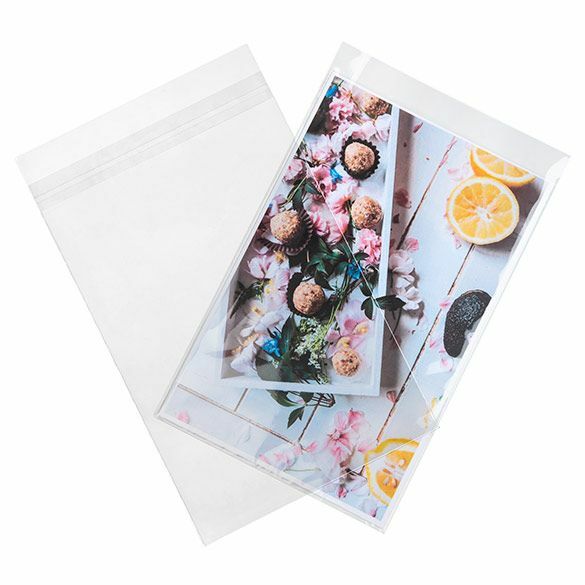 Make sure you check out all of our clear sleeves and mailer bags, and don’t forget to check out our other items like our rigid mailers, green/eco mailers, premium door knob bags, and other direct mail marketing protection.